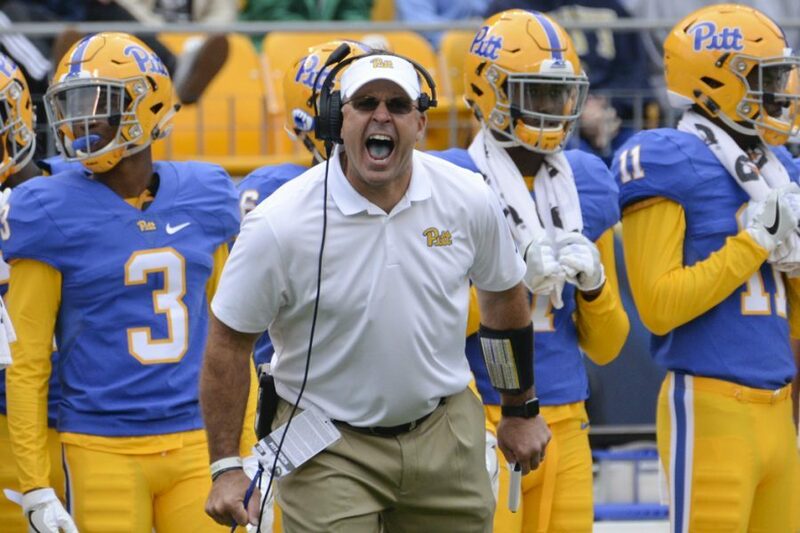 Head Coach Pat Narduzzi and the Pitt football program received their eighth recruit in the 2018 recruiting class with Ashburn, Virginia, offensive lineman Chase Brown verbally committing Monday. The 6-foot-5 Lackawanna Community College product announced his decision on Twitter. “ … I am excited and blessed to announce that I am fully committed to The University of Pittsburgh where I will be continuing my academic and athletic career in 2018,” Brown said. Rated a three-star recruit by 247Sports, Brown is the second offensive lineman in the class, joining Jake Kradel, from Butler, Pennsylvania, who committed May 30. The Panthers had one of the best offensive lines in the ACC this past season but have some rebuilding to do after losing both Dorian Johnson and Adam Bisnowaty to the NFL Draft. The addition of these two prospects should help, and it will be surprising if the coaching staff adds more big men to the class. 247Sports now ranks the class No. 47 in the country and No. 12 in the ACC. The class will most likely be a small one, as the 2017 team has only 14 seniors, but with over six months until the signing deadline, there is still plenty of time to add more prospects.